64.69 acres of beautiful mountainous views and pastures. Currently used for hay and pasture.Partly wooded. Completely fenced. Property may be used for farming or developed. 3 bd/1 bafarmhouse, bank barn and numerous outbuildings and sheds on property. Value is in the land. 64.69 acres of beautiful mountainous views and pastures. Currently used for hay and pasture. Partly wooded. Completely fenced. Property may be used for farming or developed. 3 bd/1 ba farmhouse, bank barn and numerous outbuildings and sheds on property. Value is in the land. Charming Log Cabin on a private 74 acre farm. Enjoy the bubbling of the nearby creek while sitting on either of the homes covered porches. See thecozy comfort of the open concept cabin with an excellent layout and amazing entertaining spaces. The rolling land has many wonderful views and ample opportunity to spot dear, fox, and other wildlife. Quiet & private location w/road frontage on Castleton Ford Rd & Gore Rd, true country roads. West side of property is Castle Mountain, roughly 50% open land w/the balance wooded. 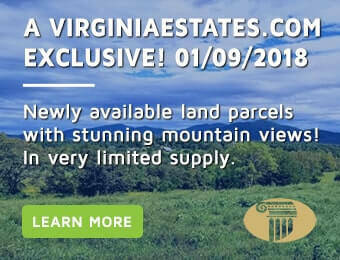 Open land offers excellent house location. Land suitable for grazing, hay or vineyards. Small stream on site on East side of parcel. New listing! 121 rolling acres, suitable for poultry, will consider dividing, possible owner & financing. Metal barn and large machine shed. Property fenced. Beautifully-updated farm house! HW throughout the main level! Remodeled kitchen w/ plenty of cabinets, butler's pantry & breakfast nook! Living rm & Family rm w/ woodstove! Updated main level full BA! 3 upper BRs, one w/ att. full bath! Upper rm could suite many uses! Front & rear covered porch! Large det.